The StringLength attribute specifies the maximum length of string that is acceptable. 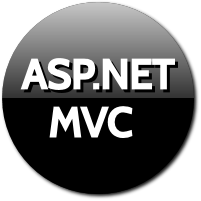 Validation message is thrown for the string length greater than specified using this property. The StringLength attribute ensures the string value provided by the customer will fit in the database. In the above screenshot we have applied StringLength attribute to the FirstName property. 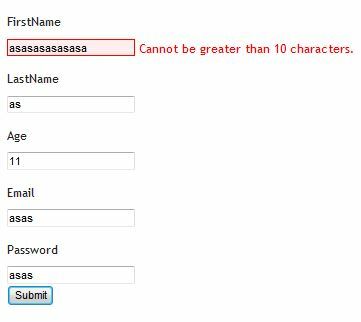 When user will enter FirstName greater than 10 characters, validation message will be thrown. 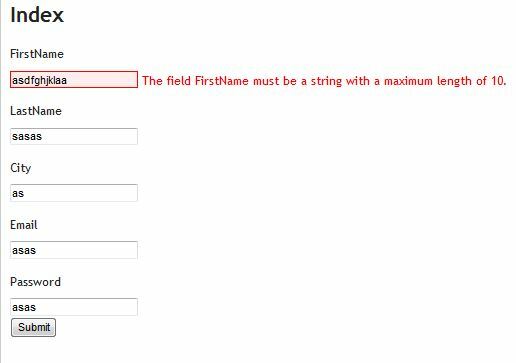 When the form is posted with FirstName length greater than 10, validation message is shown. The validation message shown is the default message. In the above example, along with specifying the string length we have also provided the validation message to show on UI. In the above example, we are picking the error message from resource file. The preceding code expects to have a resource file with name Multi.resx with key FirstName_Length. The MinimumLength is an optional, named parameter you can use to specify the minimum length for a string. 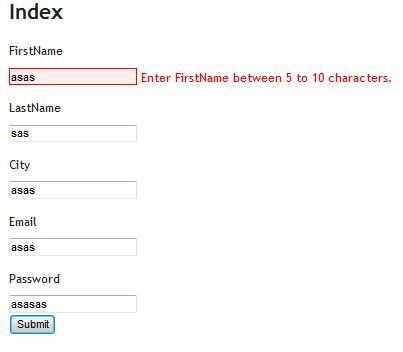 The above code requires the FirstName property to contain a string with five or more characters and less than 10 characters for validation to pass.